We are here to relieve suffering, so you can have your life back. And smile again. What is the secret to a good life? Is there something we are missing? Have you ever wondered why is it that different people react to the exact same situation differently? Why is it that when some people get knocked down they never get up again? Why is it that when others get knocked down, they don't just get up, but they keep going against all odds? We are all born with so much potential. So what is it that determines how we live our lives? What determines our choices? Is is nature? Is it nurture? Is it genetics? Is it learnt? For decades, we have been asking these exact questions and we bring you what we know from science, experience and research, so you too can have a well-balanced, healthy mind and body. We work with celebrities, royalty, companies, family businesses, schools, sport teams, families and individuals from all over the world, helping them transform their lives for the better. 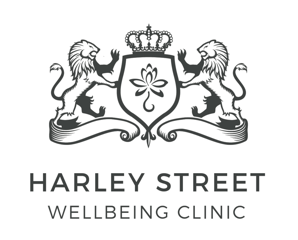 Inspired by historical figures who once worked down Harley Street, the Harley Street Wellbeing Clinic aims to provide phenomenal care for all clients. We are driven to remain at the forefront of our field, continually educating ourselves and researching pioneering treatments and to help our clients of all ages. But have you ever thought of the idea of you? We are all born with so much potential, so what is it that determines how we live our lives? Are we really limited by the residue of the past? What happens when we face chaos? In this entertaining talk, Margareta James takes us on a fascinating journey to explore something significant we are missing on our quest to live a happy, fulfilled life. Margareta James is regarded as a world recognised behavioural and mind management expert and consultant. Margareta is the Founding Director of the Harley Street Wellbeing Clinic where everything is about positive change. She creates and delivers strategic change programmes that are profound and impactful for celebrities, royals, businesses, schools, sport teams and individuals in the UK and overseas. Meditation relieves anxiety, pain, and depression by reducing the amount of the stress hormone - cortisol in your bloodstream. Add meditation into your day by setting aside a time and place devoted to deep breathing and focus. Meditating a few minutes a day for a week or two can improve your mood and stress levels. Sign up with your email address to receive the latest news and advice for helping you make your life better. We respect your privacy and never give out your details. Sometimes life takes us by surprise and we can't cope. Loss of loved ones, everyday incidents such as car accidents, medical procedures, divorce, even changing jobs, moving, falling off a bicycle or being bitten by a dog can become traumatic and we feel lost, out of control and can't seem to be able to move on. We are here to help you. We decode your surface level problems using highly effective revolutionary approaches. Don't delay. Get in touch with us today and schedule your free of charge consultation so you can tell us your story and find out how we can help you. Hello, I’m Margareta James, the Founding Director of the Harley Street Wellbeing Clinic. Most of our clients find us when they have tried a long list of things to help them with their problems, but nothing worked. I have seen so many people going to therapy for years on end that didn't work and in some cases made them worse. At the clinic, we usually get phone calls and messages when people are hanging onto hope. Our goal is to help people get to the point when they can cope with life's ups and downs themselves and are not reliant on continuous ongoing therapy (as that is like another type of addiction.) Empowering them is what matters most. We pride ourselves in bettering people's lives every day by using cutting edge methods based on research from psychology, behaviour, brain and neuroscience to mention a few. But most importantly real life experiences. We have a wealth of knowledge and experience dealing with complex challenges people face and we are driven to remain at the forefront of our field, continually educating ourselves and researching pioneering treatments to be able to help clients of all ages much faster than it was thought to be possible before. I am a Behaviour and Emotional Wellbeing Specialist with two decades of experience as a consultant, therapist, coach, trainer and speaker. My private practices are at Harley Street London, Henley-on-Thames and Cambridge. At the clinic, we work with the best consultants across the country who specialise in how the body and mind work together to create our health and wellbeing. We work with celebrities, royals, companies, family businesses, schools, sport teams and individuals in the UK and overseas. We have helped many many people over the years and we are confident we can help you if you are experiencing challenges in your life. We can help you if you are going through emotional pain, turmoil, have problems 'functioning' properly, can't sleep, feeling stressed, not 'feeling yourself' or you have been through difficult times or trauma. You might not even know what it is, but you know that there is something blocking you from living your life fully. If you are ready to change, we are here to help you. Don't delay. Get in touch with us today. The truth is, most of our clients find us when they have tried a long list of things, and nothing worked. We are confident we can help you as we help many people every day. We all know, that sometimes as parents, we are just too close to help our children. At the clinic, we know this. So instead of browsing random parenting books, let us do the work and help quickly resolve those problems. Children's academic success depends greatly on their emotional wellbeing. We help many schools achieve outstanding results by giving children the best tools to build resilience and manage stress. If you are looking for workshops, programmes or talks on the latest, cutting edge thinking, get in touch. We design and deliver these every day for companies, sport teams and family businesses. Sign up to receive the latest cutting edge news and updates from us. Thank you for signing up for our newsletter, and welcome! "Margareta was a great support and help to me in preparation for a number of large speaking engagements. I would not hesitate to recommend her to anyone." "Margareta's training and coaching style is passionate, challenging and fun. She is devoted to understanding what makes a person tick, and then breaking down barriers and emotional blocks, so they can achieve what they desire. Working with Margareta is an engrossing, life-changing experience." 5 years of breaking down in tears ended yesterday when I had my session at the Clinic..."
"I didn't even have to talk about it and it's gone! I still can't believe it..."
"After a very messy marriage and divorce I finally moved on with my life. Or so it seemed....."
"We found the Clinic when we had run out of ideas about what to do with our daughter, whose behaviour suddenly changed..."